“Protagonist,” the main figure or one of the most prominent figures in a real situation; and/or, an advocate or champion of a particular cause or idea. Both definitions describe M. Woods. 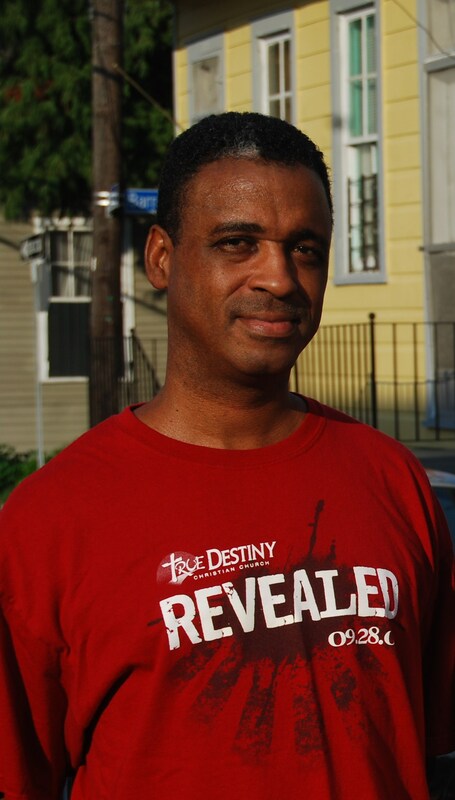 August 20, 2016, will mark the 4,000th day of Woods’ involvement in Post-Katrina New Orleans; a spiritual journey and unforgettable odyssey that began on September 7, 2005, when he joined the Hurricane Katrina Relief Efforts and boarded a Continental Airlines flight from Las Vegas to Houston-Bush Airport, on a mission to assist exiled New Orleanians at the Astrodome and Moody United Methodist Church in Galveston. This surreal situation evolved into Woods gutting houses, documenting the repopulation on New Orleans, launching arguably the largest independent research campaign into the governmental responses to Katrina, and becoming arguably one of the most knowledgeable persons in the world on the subject of what really happened during the biggest natural disaster in American history. His tenacity and persuasive communication skills have quietly kept the story of Katrina alive. Why is this important? Because urban America has updated its Post-Katrina emergency management playbooks based upon a misnomer that a Black insurrection and White apathy led to the what was perceived as a national disgrace. Woods believes that once the sequence of events are presented in proper order, the nation will finally be able to understand what we all saw on TV in Sept. ’05. The long-range goals? To raise money, through Treme Press and 12th Place Films corporate donations for the Afromation Foundation; to be used for programs, projects and philanthropy. Woods’ short-range plan is to get all of his business (Afromation, TCP, Treme Press and 12th Place) affairs in order, so as to focus 90% of his time from Aug. ’17 to July ’17, writing nonstop in Southern Nevada and New England. “It’s all about the ‘Content!’” says M. Darryl Woods. This entry was posted in 12th Place Films, Katrina Volunteers, New Orleans, Treme Press and tagged Afromation, Katrina Relief, The Contraflow Project, Treme Press. Bookmark the permalink.